Click here to learn about the pillars that guide our training and business philosophy at BPFA. 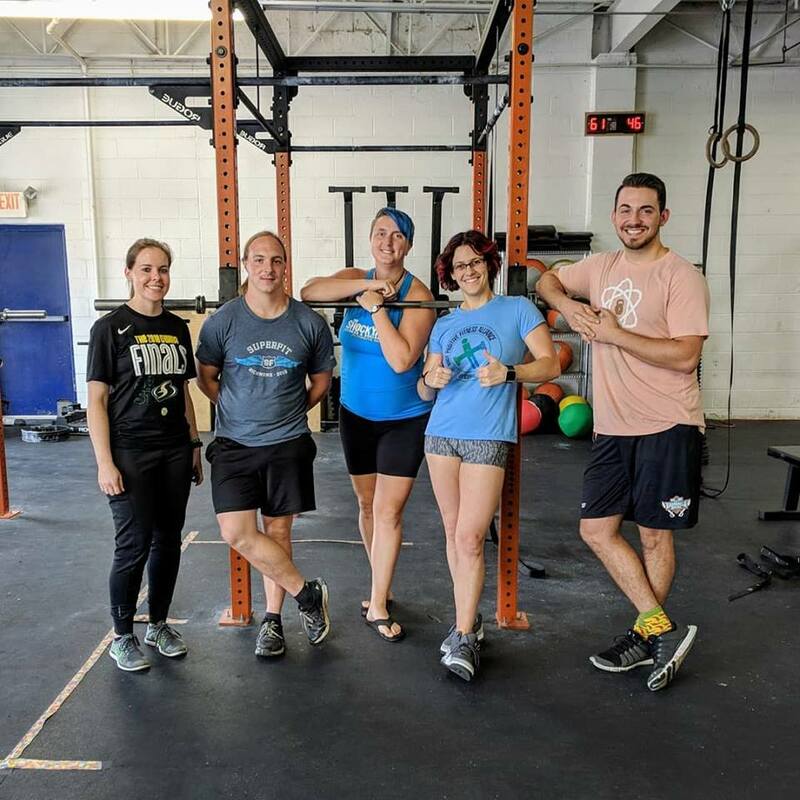 ​At ShockYard we like to say that we're a Social Club with Workouts. We love pursuing fitness through positive community-driven experience. We believe fitness should be fun, empowering, and accessible to all. We are thrilled to be a Superfit Hero Sponsored Gym! We are proud members and supporters of the LGBTQAI community! Laura Vineyard is a Body Positive Fitness Alliance Affiliated Professional and Regional Director with a B.A. from Oberlin College (2005) and a Ph.D. from Indiana University (2013) in the Biological Sciences. She received her ACSM-certified personal training certification in 2013. She has over ten years of experience coaching and training both new exercisers and seasoned athletes. Teaching clients new skills is her greatest passion. Laura's favorite athletic accomplishment is skating with the Bleeding Heartland Rollergirls at the Women's Flat Track Derby Association's Division 1 Playoffs in 2013 (http://indianapublicmedia.org/arts/flatliners-heart/ ). 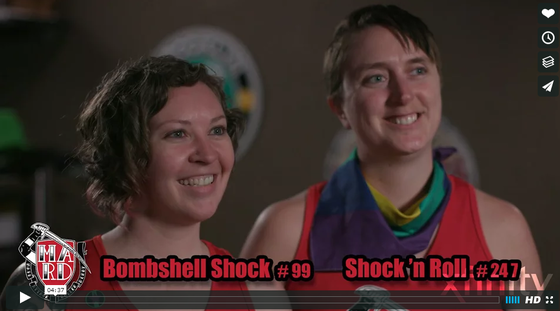 Roller derby is what inspired and empowered Laura with the help of her wife, Casey, to become a trainer and small business owner. Check out this video to learn a little more about this sport that's sweeping the globe and the powerful impact it has on people's lives! At The ShockYard, we focus on body-positive, functional movement training. This means creatively using simple equipment and body-weight exercises to specifically address the goals of our clients in an empowering atmosphere. Our mission is to educate our clients to use their whole bodies with good form and technique so they can apply that knowledge to life outside our facility. Efficient! Free-weight exercises typically require core stabilization, which means getting more work in for the same amount of time! Realistic! Practicing movements that are relevant to daily life! Fun! As they say, variety is the spice of life. Small equipment can be used in countless ways, so workouts are always new! ShockYard is an online fitness community. Therefore, we're anywhere you need us! In-home personal training is available in Ithaca, NY. At ShockYard we know we are not equipped to address every element of a client's needs when those needs fall outside of our scope of practice. We know lots of smart professionals businesses and professionals that we recommend for their commitment to sane practices and body-positivity. ​Please contact us for recommendations! Body Positive Fitness Alliance Featured in US News & World Report! "The concept attracted so much global attention from like-minded fitness professionals and gym-seekers that in 2016, Burmaster and another gym owner formed the Body Positive Fitness Alliance in order to train and verify fitness professionals and facilities that embody their philosophy. The Alliance has since exceeded its goal of verifying 50 professionals and five facilities through either online or in-person workshops." Old Colony Memorial Guest Column: 7 Essential Steps for New Year's Resolutions, Jan 2016. 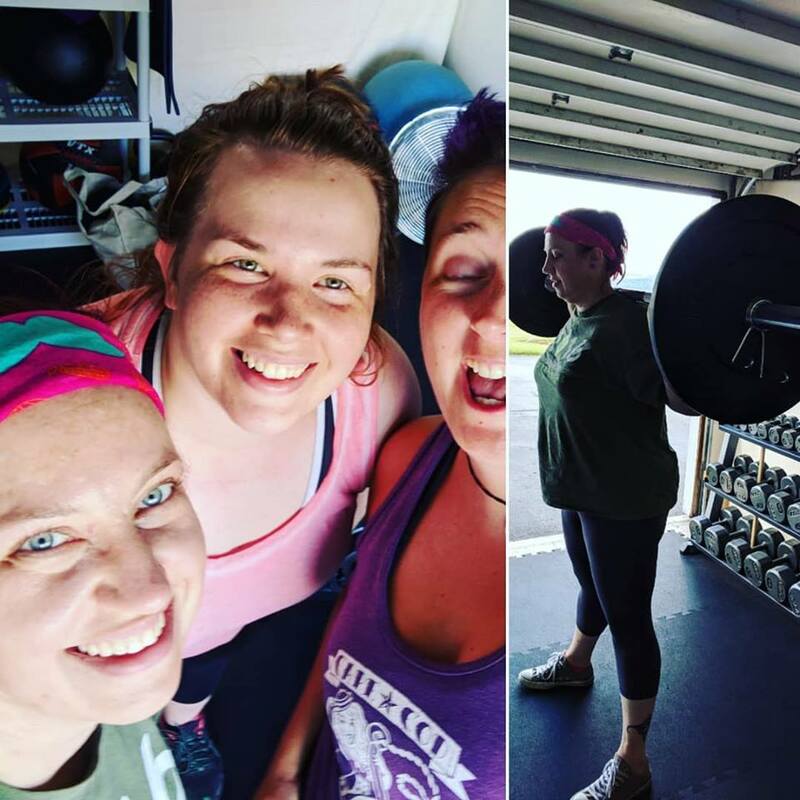 Body Positive Fitness Alliance Profile of Our Awesome Client Marie! Co-owner, Laura Vineyard, named one of Cape & Plymouth Business Magazine's 40 Under 40 Awards for 2015.